Whisper it, but I actually have some sympathy for the people who run international airlines. Perhaps it’s because I no longer do much flying. But it has always seemed to me that it must be a nightmare trying to keep aircraft and air crew in the right places when so much disruption can be caused by one component breaking down or one pilot being taken ill.
All the more reason, then, not to suffer from self-inflicted wounds. I can’t understand why something as heavy as a jumbo jet can be taken 30,000 feet up in the air, but I’m even more baffled why shares in Ryanair (RYA) and International Consolidated Airlines (IAG), owner of British Airways, didn’t tumble to earth when those airlines were faced with horrendous disruption. When BA’s computer system crashed, leaving staff unable to process tickets and leaving passengers stranded at airports around the world, the crisis seemed to drag on and BA’s explanation that someone had switched off the power supply then caused a power surge by switching it back on did not sound entirely convincing. There was much talk of reputational damage hanging over the airline, with allegations it was not offering passengers the help and compensation they were entitled to. At least that foul-up lasted only days. How much worse then, is the self-inflicted disaster at Ryanair, which will continue for months. While the Irish airline avoided a total shutdown, it has closed entire routes wholesale. Again, the explanation sounds hollow. We’ve all suffered computer crashes but a sudden discovery that the pilots’ holiday rota has been screwed up is really incompetence on a grandiose level. To make matters even worse, Ryanair has launched into a senseless attack on the pilots. Despite the initial outcry and threats of never using the airline again, both BA and Ryanair will be protected by the feeling among passengers that most airlines are much the same in their treatment of passengers; in the same way that there is no point in switching your bank account because you won’t get better service elsewhere. IAG shares peaked around 630p in July and again in August. They have slipped back a little to around 600p but are still £2 up over 12 months. I can’t understand why. 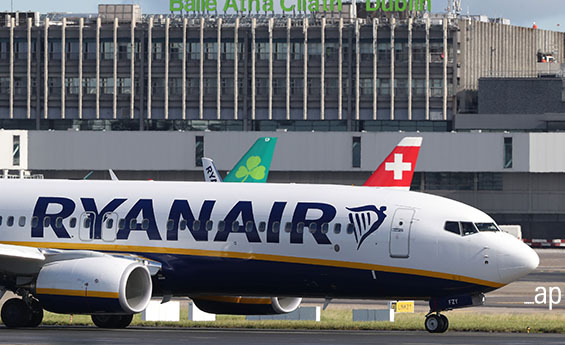 Ryanair has the advantage that it flies to places other international airlines shun, so there may be no alternative choice anyway. That’s why it got away with abusing its passengers in the first place. At €16.14, Ryanair shares are hardly any lower than they were when the crisis broke. They are €4 higher than a year ago. As the cancellations drag on throughout the winter months they will surely slide further. The financial cost will presumably become clearer with half year results. I wouldn’t want to be holding the shares when that announcement comes in early November. On a happier note, plastics specialist RPC (RPC) said in a trading statement that revenue is well ahead of last year and profits will beat expectations. I bought shares after the last update, which I felt showed that the sell-off over the summer was misplaced. There is a lingering concern that the acquisition spree has left management spread too thinly but there is no sign of that happening yet, as the latest acquisition, American food packager Letica, is fitting in well. RPC generates cash and has increased its dividend for the past 24 years. The shares have recovered some but not all lost ground and are by no means expensive. I’m more than happy to hold on.